What are the benefits of trading with other NeonMob collectors? In addition to collecting cards by opening packs, expand your collection by making trade offers with other collectors for cards you really want. Trading is the most direct and efficient way to get the cards you need to complete any series you are collecting. Why wait and hope to pull the exact card you need when you can trade an unwanted card and get it now? Speaking of unwanted cards, trading is a good way to cull your collection of duplicate cards or cards you no longer want to keep. Use duplicates to entice a collector to trade you the last cards you need to complete a series you are both collecting. No longer collecting a series? Trade those unwanted cards to an interested collector for cards in a series you like more. Keep your collection tidy, finish series more quickly, and help out your fellow collectors … trading is a win, win, win! Most importantly, trading helps in the long term by connecting you with a large community of fellow collectors all working to help one another complete series. The larger your trading network, the more trading opportunities, the better your odds of finding the cards you want. So trade often and get to know other collectors … you never know who could be the perfect trade partner in the future! There are several ways to start trading on NeonMob: you can visit other collectors' profile or collection pages; you can search for cards you need; and you can also start trading from within your own collection. For example, the image below shows a collection on the website. For each series, you see the cards you own, while unowned cards have empty slots. Clicking on “Wishlist” will add this card to your your wishlist, letting potential trade partners know which cards you are actively seeking. Clicking on "Owners" pulls up a list of card owners along with additional information about them. 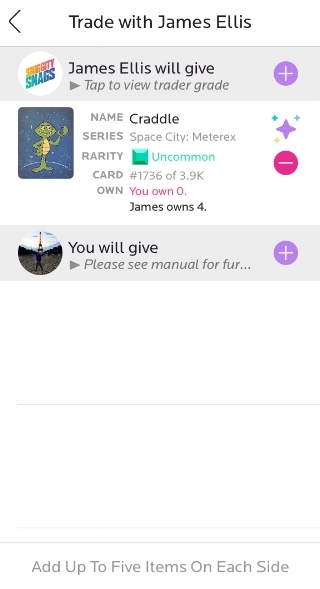 "Trader Grade" tells you how responsive a trader is to trade requests; "Owned" tells you how many copies of this card a trader has in their collection; and “Series Completion" tells you how much progress that person has made toward completing the series. Once you select a trading partner, you can begin the process of assembling a trade offer by clicking on the “TRADE” button. The image below shows a trade window with the beginnings of a trade offer. 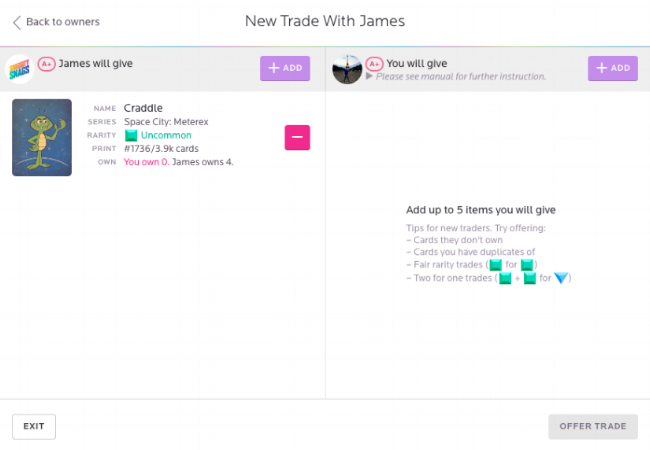 Your trading partner’s cards are listed on the left side of the screen; your cards are listed on the right side of the screen. To add cards to the trade, click on the “+ ADD” button on your side and select which card to include in your trade proposal. You can add up to 5 cards in a trade on both sides … but remember, you will have more success if you make fair and balanced trades. Once you have selected the cards you would like to trade, click the “OFFER TRADE” button in the bottom right corner of the window to submit your trade offer. After submitting your offer, your trading partner has 48 hours to respond before the offer automatically expires. They may accept, decline, or counter-offer your trade. Likewise, you may withdraw or modify your trade offer. How does trading work on the iOS app? 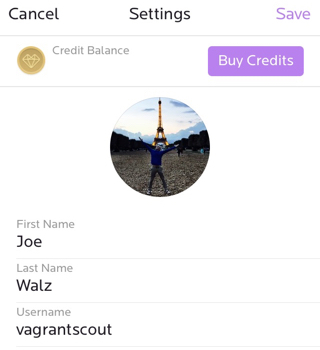 Trading on the iOS app can be easily initiated from any series collection. Go to Your Collection > Series > Unowned to see the cards you still need to collect in that particular series. Scroll through the Unowned list and find the particular card you are seeking. Click on the “Trade for it” button to pull up the Owners list. Just like the website, the Owners list shows the Trader Grade (“Grade”), Series Completion (“%”), and Number of Cards Owned (“#”) to help you find an optimal trading partner. Selecting any user will pull up the trade window. Your trading partner’s card are on the top of this window; your cards are on the bottom of this window. Use the “+” symbols to add cards on each side. Once your cards are selected, click the “Offer Trade” button at the bottom of the window. That’s it, your trade offer has been sent! If I have duplicates of a card, which will I give away in a trade? If a collector owns more than one copy of the same card, the highest numbered card is always selected for trading. For example, if a collector owns card #2 and card #202 in a series then card #202 will be traded away. The highest numbered card is always selected for trading regardless of whether a collector is initiating a trade or responding to a trade request. This rule ensures that collectors cannot accidentally trade away low numbered cards as they are typically more highly valued by collectors. Can I offer the same trade to more than one person? Yes … and then the race is on! Only the first collector to respond will be able to accept your trade. When you have multiple trades that contain the same card, the first trade accepted will trigger an auto-decline or auto-withdrawal for all remaining trades containing this card. This is true even if you have duplicates of the card you are trading. If a trade cannot be completed due to cards no longer being available when a collector responds to an offer, the transaction will not go through. What happens if a trade I propose is declined? Nothing, there is no penalty to either collector if a trade offer is responded to and declined. If your trade is declined, make a trade more appealing by including more high-quality cards in your offer. Also, check your trading partner's wishlist to be sure you are offering cards that are of interest to that collector. Finally, you can directly message your trade partner to see if they might have any special requests to include from your collection. After 48 hours, trades that are not accepted or declined expire automatically. There is no penalty to the trader if an offer expires with no response from the trade recipient. But, allowing a trade to expire without a response may impact the trade recipient’s trader grade. 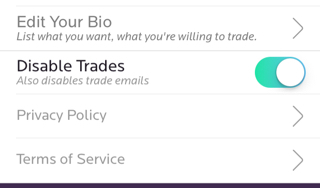 Make sure to sign in every day to respond to trade requests and keep your trader grade at an A+! Let’s start with Trader Grades. The responsiveness of each trader is measured by a letter grade A through F. Those collectors with an A+ trader grade answer every single offer and accept a high volume of trades; collectors with an F trade grade rarely, if ever, respond. Collectors with a high trader grade are less likely to allow a trade offer to expire, meaning the higher the trader grade the more likely a response. Selecting a trade partner with a high trader grade greatly increases your odds of a having your trade accepted or receiving a counter-offer. Another great tip is to look at the Owned column to find collectors with duplicates of your sought-after card. Collectors with duplicates (2x or more) are more likely to part with one of their duplicate cards then to break up their collection and give away the only copy they own. Use the Series Completion percentage to find collectors still actively working to finish the series. Owners with lower series completion percentages may need your help in completing the series and could provide more trade options. But don’t forget owners at 100% completion as they may be more willing to give away duplicates when trading across different series. Remember, you can toggle any of the above options to reorganize the owners list to fit your specific need. Try different combinations and scroll through the list to search the results. Use the Message button to communicate with potential trade partners if you have any specific questions about their collection or what they might be looking for in exchange. This is especially useful in discussing trades featuring hard-to-find out-of-print card, in proposing a cross-series exchange, or when offering multiple trades at once. Offer a fair and balanced trade: When building your trade, you can select up to five cards on each side. You will have the most success when making a fair offer based on rarities and number of cards offered. A Chase for a Chase in the same series is a great offer; a Rare and a Common for a Chase is not. Add a little extra: Looking to swap Very Rare for Very Rare on a series? Throw in that Common or Uncommon they are missing to help seal the deal. Give them what they want: When constructing your offer, stick to series your trade partner is already collecting. Check their wishlist to identify cards to include in your offer. Cards you offer from an unfamiliar series might not be as valuable to your partner as they are to you.